What better way to prevent hair loss than using the secrets of the ancient Indian medicine, Ayurveda? There are many herbs prescribed in the Ayurveda which help in controlling hair loss and promoting hair growth. 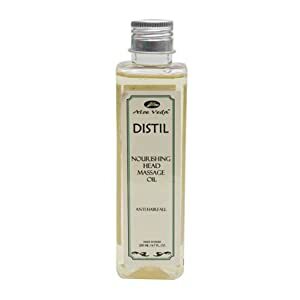 Massage your hair with the ayurvedic oils fortified with rich herbs, let your roots soak in the oil and you will see a remarkable improvement in your hair health. We show you here the best ayurvedic oils to prevent hair loss in India. The Biotique Bio Bhringraj Oil is an intensive formula with bhringraj, amla, mulethi, cow’s milk and goat’s milk blended in pure coconut oil. The formulation helps in preventing hair loss and promotes growth of fresh hair. Use regularly to massage your hair and leave for half an hour. Wash off with a mild shampoo afterward. It is priced at Rs. 159 for 120 ml. Iraya Keshavardhaka Taila is a blend of 11 powerful herbs like triphala, maka and gokharu. Regular use helps in stopping hair fall and stimulates the hair follicles, leading to hair growth. 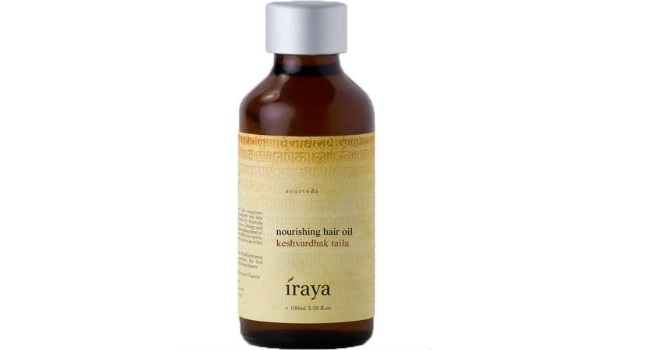 Use the Iraya Keshavardhaka taila twice a week to massage your hair for best results. It is priced at Rs. 495 for 100 ml. The Puro Body and Soul Hair regrowth tonic is a blend of coconut, lavender and rosemary oils. Regular massage helps in controlling hair loss and also helps in promoting fresh hair growth, giving you longer and fuller hair. Using the oil twice a week before shampoo for controlling hair loss. It is priced at Rs. 500 for 100 ml. The Aloe Veda Nourishing Anti Hairfall Oil is a blend of coconut oil, lavender essential oil, jojoba oil, geranium oil and grapeseed oil. Regular use vitalizes the roots, controls hairfall, prevents dandruff and premature greying. It improves sleep quality and nourishes the hair and scalp. Massaging with the Aloe Veda nourishing oil helps in improving blood circulation and thereby controls hair loss. It is priced at Rs. 950 for 200 ml. The lotus herbals grow oil needs to be used as a part of a 45 day treatment where in it is massaged into the hair every night for 45 nights. The ayurvedic formulation with brahmi, amla and bhringraj helps in controlling hair fall and in promoting growth of new hair. Regular use also controls migraine and improves hair texture. It is priced at Rs. 275 for 60 ml. 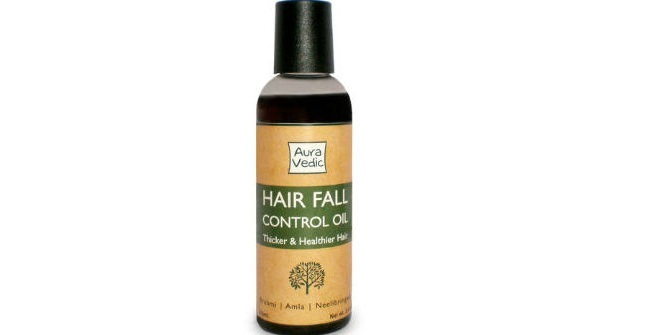 The Auravedic Hair Fall Control Oil comes with brahmi, amla and neelibhringadi. Use this 100% natural oil to massage your scalp twice a week before shampoo. It has a pleasant fragrance and is light weight. You could use a bit of the oil after the shampoo to condition the hair too. Regular use reduces hair fall and improves hair texture. It is priced at Rs. 150 for 100 ml. 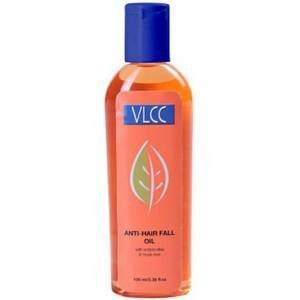 The VLCC Anti Hair Fall Repair Oil comes with natural ingredients like henna, India pennywort, Indian gooseberry and musk root. They help in preventing hair fall, greying and loss of body of hair. Use it regularly for hair massage, preferably leave overnight for thicker and fuller hair. It is priced at Rs. 130 for 100 ml.